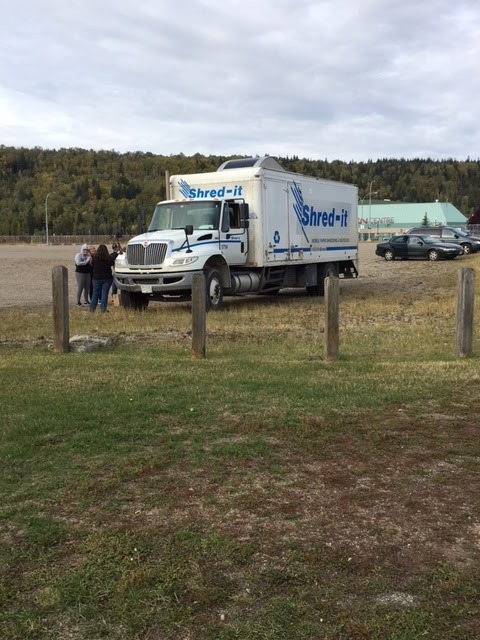 Prince George Crime Stoppers: Shred It event Thank You. Shred It event Thank You. Thanks for helping us raise nearly $1,300 with our Fall Community Shred It Event on Saturday September 22nd. A big thanks to CN Centre, Mr. Mike’s and Shred It! The Spring Shred It will be Saturday April 27th 2019 from 10am-2pm at CN Centre parking lot! Copyright Crimestoppers Prince George. Powered by Blogger.